FIRST EVER OSTRICH RAISING SEMINAR AUGUST 28! We are ready to offer our first date for Blue Heaven Ostrich Raising Seminars. Each seminar will consist of one full day from 9-5, on site at the farm in Loxahatchee Groves, Florida. (close to West Palm Beach). Luncheon will be provided. Our special speaker will be Diana Westmorland who is flying in from Texas; one of the best chick hatchers in the business! We will offer a complete overview from egg collection to pen design to feeds and adult birds to production. 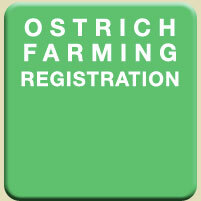 We will also discuss the different ways you can enter the ostrich business and the different categories. The entire class will be offered at $200.00 (ask me about pairs or groups). A $50.00 deposit will hold your seat and the balance of payment will be due by class time. If you are driving, complete directions will be contained in your reservation package. If you are flying in, arrangements will be made to pick you up and bring you to the farm and we guarantee a good time will be had by all! GourmetOstrich.com | Blue Heaven Ostrich, Inc. | Copyright© 2009, All rights reserve.